It’s a long week for me. 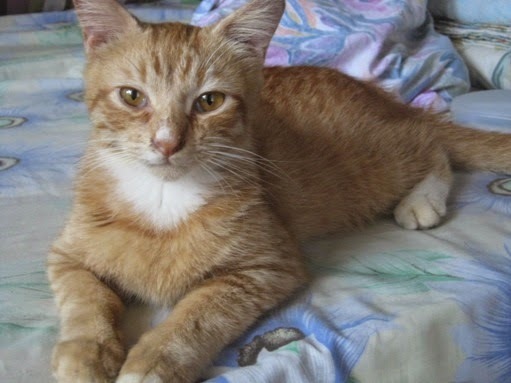 Juno, a female cat of ours, got sick since two weeks ago. The vet said she’s affected by a virus. Because of Juno born premature, she had weaker antibody than others. After hospitalized for almost a week, Juno died last Monday. 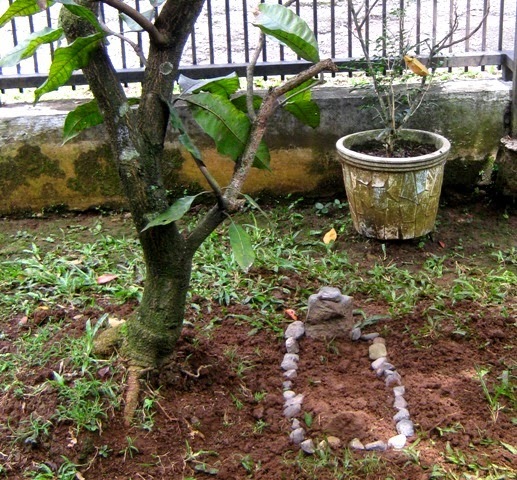 We buried her in the front yard, under the mango tree. Rest in peace, Juno. Juno's grave and a short video of her. Sorry for less quality video. Unfortunately, Koneng got affected too. He started vomiting several times a day and didn’t want to eat and drink at all. 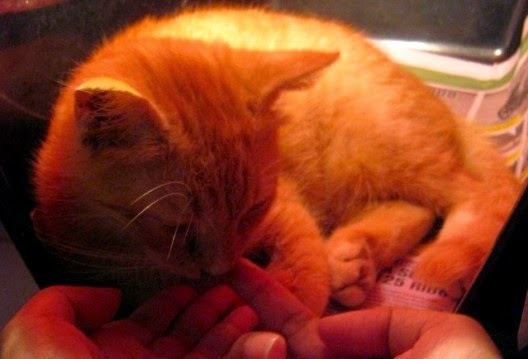 The vet gave medicines to hold the symptoms but the virus can only be beaten by his body’s immune system. Koneng had to be located separately and I decided to take care of him seriously. After three hard days, Koneng showed good recovery signs yesterday (Friday). He looses a little weight, but he looks better now. Feeding the sick cat. Koneng licked the cat food on my finger. Taken 10 minutes ago. He won the war against virus. I am so sorry that you lost your cat but am glad that the other one is fine now. Have a lovely weekend. So sorry to hear about the loss of your cat. I do hope your other cat continues in good health. With TLC from you, I hope Koneng continues to improve. I'm sorry that Juno did not make it. So sorry one of your cats died so unexpectedly. Thankfully your second cat recovered. He looks so handsome too. I'm so sorry about Juno, but I'm happy Koneng is better. It's always sad to lose a pet. My condolences for poor Juno.